We’ve already told you how to use autumn leaves in your home decor. Yeah, leaves are the cheapest and the simplest idea but pumpkins! There’s nothing better than a colorful pumpkin for fall, Halloween and Thanksgiving decor (and later you can cook them, too). We’ve gathered a bunch of ideas of how to decorate a pumpkin and where to use it after. Dozens of patterns and design ideas; unusual colors look fantastic on the tables, mantels and shelves. Don’t like regular bold pumpkins? Take a twig or velvet version and enjoy the look! 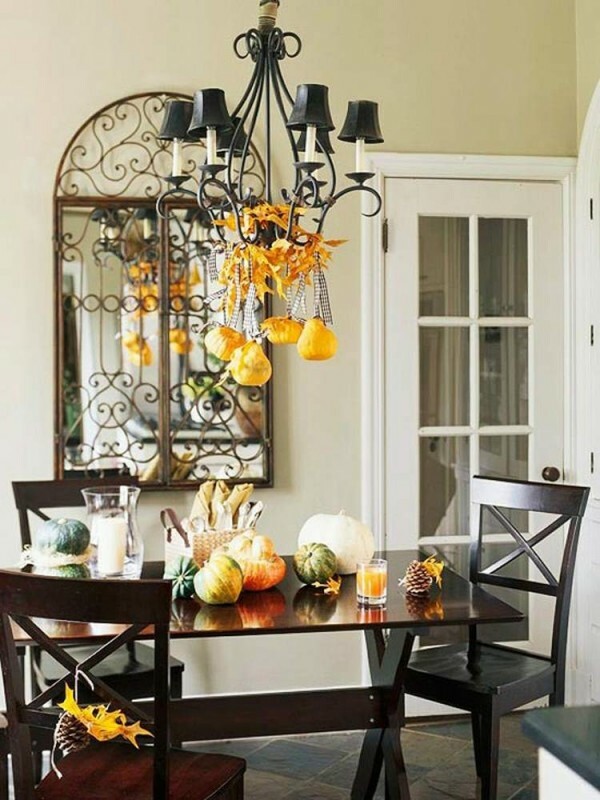 Include your pumpkins into centerpieces and table and room decor, put them on pedestals or in baskets to achieve a cozy rustic touch – pumpkins are perfect as a fall décor piece!